What is the Team Atlantis Trafficwave Downline Builder team and how does it work? I tried it for a while and this is my honest review and experience. It seems my predictions were not too far off – just see the comments section at the bottom of this post, from current members. I would strongly recommend that you don’t waste a year of TE surfing on this – rather click here and start a real online business. Team Atlantis was started by Didi Wargo in 2009 as tool for building downlines in Trafficwave. The core of how the system works is shared advertising efforts by all members focusing their marketing on a team rotator, which will be straight-line (first come first served) until you get your 3 upgraded members. This enables the team to reach enormous amounts of opportunity seekers, and as the team grows, so does the collective advertising effort. How does the Team Atlantis Trafficwave Downline Builder system work? Once you joined and signed up for the Trafficwave autoresponder through the link of team member and upgraded your account, you notify team leader Didi Wargo and she ads your name on the straight line rotator. This order of this list is determined by the date of joining. The current top 5 members on this list has their personal capture pages in the team rotator, which all the team members on this list promote. Each member much maintain a hit count of 1000 hits per week to keep their position. Once a member has their 3 referrals they graduate from the 1st straight-line rotator, and move on to the 2nd straight line rotator. This is also first come first serve, and members receive 2 paid referrals from this. This will give a member of 5 referrals, which gives them Tidal Wave Level in the Trafficwave Affiliate Program (see image below). Next, the now Tidal Wave member will move to the next rotator, which is a random rotator. The goal is for the member to eventually reach Tsunami level, which increase the earnings potential. Who is Team Atlantis best suited for? Any existing Trafficwave members who are struggling to recruit new members on their own. Current traffic exchange surfers who are frustrated with no results, who might like the idea of being part of a greater team effort, and that hours of surfing is actually contributing towards something in the longer term. The pros – what is good about Team Atlantis? The cons – what are the main Team Atlantis complaints? You have to stay on top of your hit count constantly to ensure you get your 1000 hits per week. Some TE’s deliver hits faster than others, so you can’t just assign credits and sit back. At some point saturation will come into play and the system will slow down – for every new member that joins, 3 more is needed just to cover that member’s subscription. Effectively, the team’s exceptional growth becomes its own downfall. In the email broadcasts, members with their 1st three referrals are congratulated on “now being in profit”. This is not true, because at that point you are still in a net loss from 6-9 months subscription fees, plus any paid advertising you might have bought. Yes, on monthly basis you are now breaking even going forward, but you are NOT in profit yet, and it will still take a while for your commissions to catch up with the expenses! I want to make it clear that Team Atlantis is definitely NOT a scam. Didi has always responded to my emails in the most polite and helpful manner, and she goes more than the extra mile for the team members. I tried the system for 4 months before I realised it was not what I wanted to do for my online business. It will work for you if you have the patience to stay with it. But don’t think because you see Didi Wargo on the top of of the monthly earners list, that you will be able to get anywhere close to that. MLM’s pay structures don’t work that way, they reward those with leadership initiative who get stuck in early. The lower down in the chain you join, the harder it becomes to to duplicate those at the top. After 4 months I was getting tired of surfing traffic exchanges, and having to check my hit counts every week. I was still just outside position 100 on the straight line rotator. I started thinking about what kind of business I was really building, and how I was investing my time. I always believed that to be successful in any type of business, that you need to learn to improve your education all the time, so that you have the skills to change your business if you need to or even just want to. Time invested in education is worth so much more than time invested surfing TE’s. At this time I found the Wealthy Affiliate University, and I singed up for a free starter account. Within a few days I upgraded to premium, because I knew that I have found what I have been looking for. It was a bit intimidating in the beginning, seeing all that training available and just getting to the point of setting up my first free website – I was used to just following the ‘guru’s. But every day that I spent time going though the courses and watching the training, I learn more, and I’m getting closer to my own successful online business. A business that I control, which is not reliant on a single company, a single team leader, my upline’s efforts or my downline’s efforts. Are you a current or former member of Team Atlantis? What was your experience? How long did you have to wait on the team rotator before you got your first 3? Let me know by leaving your question or comment below! Awesome breakdown and review of Team Atlantis. I also joined and found it more complicated than it needed to be, and I’m no novice… Didi really was responsive as you stated, but it was not something I decided to pursue. Thanks for sharing your review. Thanks for the comment Bethany. I don’t have a problem with the people, its just the business model that is is not sustainable. And Didi Wargo with a few others will have to keep work harder to keep the system going. Though as the top Trafficwave earner she is making huge money, but with all mlm structures, the later you join the harder it gets. I believe that they have been forced to change the system because of the long wait for new joiners. I will update my review once I have figured out how it works! I recently joined team atlantis. Although I never hear of team atlantis before. I just joined Trafficwave to use their Autoresponder for my Internet business and I discovered they have awesome affiliate plan hence I joined team atlantis to help me achieve that. The affiliate plan might sound ‘awesome’ Deb, but it only works if you recruit a bunch of people in their downline, and they recruit a lot of people, etc. The fact remains that only a hand full of people will reach the higher earnings levels. I just can’t imagine surfing traffic exchanges all the time, its simply not the way to start a real online business. I have been a paid member with Team Atlantis since December, 2013, 18 months, and still no hot seat. Is anyone else having this problem? You should have been in the ‘hot seat’ by now – have you maintained your required hit counts? From what I remember, you have should receive a weekly email with the hit counts and have to check to see if you are on the list. If you don’t maintain the hit count, you drop of the list and will have to start at the bottom again. You can email Didi Wargo and ask about your position on the rotator, but I definitely think are off the list by now. This is one of the problems with the Team Atlantis system, there is no warning or notification of this, and not all members understand what they are supposed to do to keep their position. An keeping those 1000 hits per week is not as easy as it seems. Yes i joined Team Atlantis In June 2014 and now it is Sept 29th 2015 and haven’t been added to the rotator yet. That is a long time Sam. Have you checked with the team leader to see what your position is? Oh, yes, I have been keeping a keen eye on my weekly hit count. It’s been around 1,500 every week since Dec. 2013. I’ve also emailed Didi several times, and I do hear from her, but she is ambiguous in her answers. When she changed the system, I finally received one (1) referral at around 13 months, who quit after the first month. Didi then told me I was number 93 on getting my two (2) more in the second rotator. When I did not get my two (2), I emailed her yesterday. She told me I was number 96 in the “Tsunami” level and that I have zero (0) referrals. Don’t have any idea how I got “skipped” over getting my initial 3. I’m very hurt and disappointed by how I was treated. What happened to their claims of replacing any lost referrals? I have seen that they have changed the system, which (according their) website was supposed to help. But 13 months for just one referral is way too long. My predictions have been proven, unfortunately I have to add. They simply cannot keep adding to the pool at the initial speed, especially since they target mostly ad exchange type sites like traffic exchanges and safelists. Sadly, those top level earners have cemented their place and keep their earnings. Like most MLM’s, it seems that the success of the top is built on the losses of those at the bottom. It is shame that you spent over a year on Team Atlantis and have nothing to show for it. But I suggest you look forward. Remember the lessons, forget the details. If you ever want to start a real online business where you are in control & don’t have to rely on others, I would be happy to help you get started for free . A year worth of surfing time spent on that training would give you results better than you could imagine. Yes Wally, it was about 5 months ago or so and she told me i was 77th. I have to say that there were a few months here and there that i didn’t make the 1000 hits, however some months i did really well. From what I understand, unless you contact Didi you will loose out when your hit count goes below 1,000. It is a fragile system with a lot of flaws. I want to point out that we all are different, and that I have a complete different experience with Team Atlantis. Didi delivers, but if you do not focus on your hits, you will be jumped over. I’ve tried enough scam over the years, and this is the only business I’ve been lucky enough to actually have a result with. However, I do understand that Mr Wally here wants to sell his own business, so the review is more on a favor of what he wants to present to people here, than actually explain that network marketing really is about patients no matter what. You can never build a business without a huge responsive list. It’s going to take you years to build a list for yourself, and you need to sell a product that is affordable and user friendly. But of course, if you do want to start new projects over and over again, and fail over and over again, and pay 1000’s of dollars, then I will tell everyone, be my guest and good luck. Its better to wait for a couple of years with a small result, that will eventually be big, than the rest of your life with no result, and frustration. Thank you for sharing your experience. I’m glad that thing are working out for you, but you are in the minority. You have left out a important detail: how long ago did you actually join? If you read my review properly, as well as some of the other comments, you will see my criticism is based on what is happening right NOW. did you see that spent months of my own time on Team Atlantis? How can I expect my own referrals to do the same for 6-9 months (and counting) just so that I can make more money? I suspect you were one of the lucky ones who got in earlier. The point I made was that the system’s initial strength becomes it weakness as it grows bigger, because it need more new members at a faster rate to support it. And by the way, that goes for any network marketing opportunity; your sponsor needs you to work hard so they can get paid more, but the only thing that gives them that privilege is that they got in earlier than you. I have myself lost over a 1,000 dollars on scams and things that did not work out, including the time and money spend trying out Team Atlantis. Its funny though that before I found Wealthy Affiliate University I would get criticism on negative reviews for ‘not being able to come up with something better’. But now that I do offer a better alternative with a FREE trial, I get criticized for that too by people like you. I have no problem offering anyone an alternative that is free to try, as opposed to spending months on traffic exchanges just to get in on someone’s rotator, while spending cash on a Traffic Wave subscription. Trafficwave easy to use you say? Clearly you have not tried Getresponse or Aweber. I have, and their interface and user experience are miles ahead of Trafficwave. Seriously, you believe the the only way to be successful online is to build a list and spend years on that? Maybe you should try the Get Started training at WA, you will be surprised by what you’ll learn. I can’t help but smile right now after reading this review and the comments. I would love to spill the beans on what I went through, but it would be a long drawn out story. One comment I will make is that the great TA leader is not making huge baskets of cash. I know it’s usually somewhere in the $1,500 – $2,000 a month range. 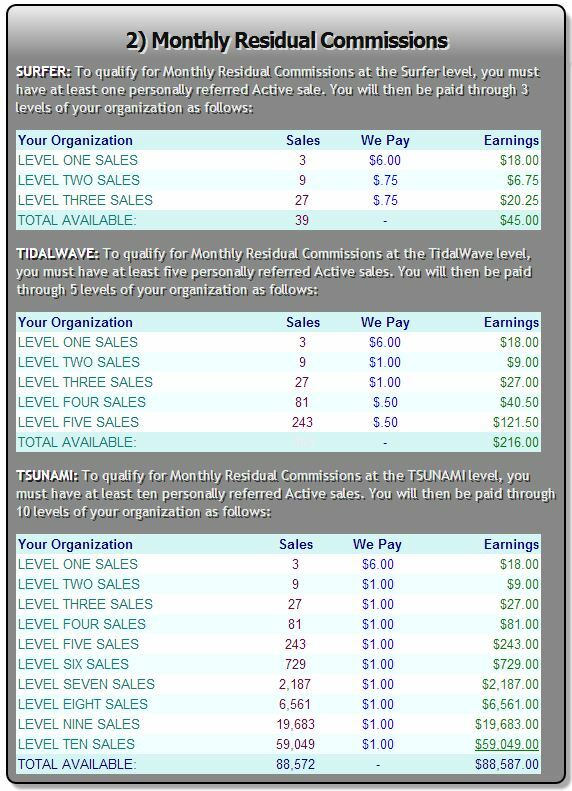 She has reach that level by taking monthly signups for herself every month since 2009 from leads the team generates. Not long ago she admitted in an update that she takes ‘only’ tw signups a month so she can continue to receive leadership bonuses. I don’t beleive it’s only two a month myself, because she has also been listed high in the monthly ‘Fast Track’ earners list as well. Pretty sure it takes more then 2 signups to get close to the top of that list. 2 signups a month (times) 12 months = 24 per year (times) 7 years = 168 personal signups she has taken for herself instead of giving them to the team members who worked hard generating the leads and who rightfully should have gotten them. Instead getting leadership bonuses was more important. Now today in her update she makes the statement that she ‘is not hogging signups’ what a joke. Doesn’t seem like much of a leader to me! Hi JP. If you could find the time, I would really appreciate to hear your story. The more real experiences we get on here, the more we learn. That is a very sobering point you make about the personal signups required to keep her top of the leaderboards. I have never fully grasped that part of the Trafficwave affiliate program, but what you say makes perfect sense. To earn leadership bonuses you must have an active sale (upgraded signup) from the previous month and from the current month to quailfy for the leadership bonus that month. At the top level the leadership bonus is equal to 50% of whatever a personally sponsored member is making. For example if you are my personal signup and you make $100 a month in regular commissions, my bonus from you would be $50. Half of what you earned. If I have 10 personal referrals and they each make $100, I would earn a bonus of $50 for each of them for a total leadership bonus of $500 for that month. If a member DOES NOT have a active sale (upgraded signup) from both the previous & current month, the do not earn the leadership bonus. Missing a month can mean missing out on hundreds of dollars. If each of them made even $20 a month in regular commissions it would look something like. 50% of $20 = $10 (times) 168 personal referrals = $1,680 in leadership bonuses per month. I will say based on screenshot provided by Lori Edwards [ TW id: torenada ] (who is actually Didi’s sponsor) found on http://iloveeasymoney.com/ & http://www.iloveeasymoney.com/images/torenadapay.jpg now one is possiby making that kind of commissions or bonuses. If you receive the TA updates, it’s interesting that both Lori Edwards and Rusty Shelton who are her sponsor and upline respectively are included in updates as being TA members, when in fact wouldn’t the top of the team stop at the leader of TA? If so did they both Lori & Rusty create accounts under TA members to become part of TA. If not then under what reasoning would they listed as members? It’s also interesting that Rusty started Team Oceanswell, which is the parent team of TA. Just look at the email address posted on the TA site for proof it starts with ‘oceanswellatlantis’. I am not Didi’s sponsor. I was Rusty’s sponsor, and Rusty brought in Didi. I am also not a member of TA. I never knew that anyone was saying that I was. I work on my own. I love Trafficwave, and yes I publish my earnings. I’m not making unrealistic riches, but $1500 a month does help immensely. I also teach special education, so this is not a full-time job for me. But I do enjoy working with people and helping them to make some extra money. Building a business does take time though. It took me several years to begin making money. I’m sorry that there are problems with TA. I do believe in the power of teamwork, so I really wanted them to succeed! 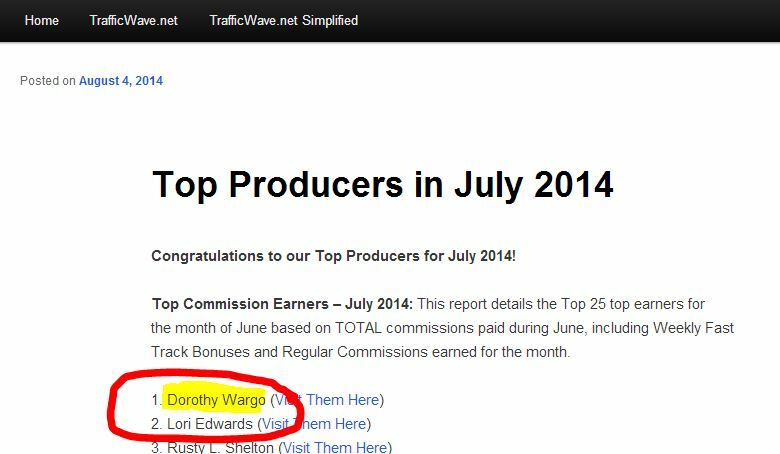 Glad I could help explain some things about the TrafficWave affiliate system. If you have any questions just ask, I have had my current TW account since late 2010. Thanks for your help JP, much appreciated. God you needed until 2014 to find this stuff out? A downline builder for another pyramid scam, I could have told you this stuff in 2009-10 when she started this nonsense, it’s just a feeder for her own downline, she works directly with Rooney the guy that owns TW, she makes him a ton of money and she is well rewarded for it. I can’t believe people are still doing this stuff in 2016. I wasted my time on her nonsense way back then. It’s simple, avoid it. Thanks for the input but don’t appreciate your tone. Every day new members are being recruited and it is only through testing and posting it on my site that I can spread the message. That is a an interesting link to the gofundme page. At her level she should be able to send more than that just from one month of TW earnings?! I was with Wargow some time back. I discovered that the rotator is manipulated to suit Didi. I Challenged her about the rotator and was told my place given to another marketer as a favour. Needles to say I quit with her and now use TW for my own ad needs. That is disappointing, but not surprising. Didi Wargow is the only one who know what is really going on. Relying on someone else to promote your business opportunity is one of the biggest reasons why no one gets signups. They come into traffic wave with big dreams of someone else making them rich. If a doctor gave a janitor his scalpel and said hey fix this heart for me, what do you think would happen. Unless you get some training for your BUSINESS, you will never make a dime. Get trained and become a Professional instead of a spectator. Spot on Mark, copy and paste marketing has never worked, and it never will. If I told someone to read Donald Trump or Richard Branson’s book and just copy what they did to get the same results, they would think me crazy. And yet when it comes to internet marketing, somehow the same principle presented differently seems more believable. I was reading the go fund me page for her daughter. Seems to me a person in her position would have more than enough money to help out her child. She has been with TW since 2009 and is the highest paid affiliate. I would estimate her income to be in the five figures a month category. I have been using TW autoresponders for a few years moistly as a marketing tool and I even tried the traffic exchanges and safe lists to get signups. Never got anything, but when I got a little training and started getting my own leads from other sources,what a difference it made. When you use TW as a marketing tool first to help people build their business and a business opportunity second your results will skyrocket. I had the same thoughts after seeing her fundraising campaign. For someone is on the top 10 earners list she should be able to help out her own family. Traffic exchanges & safelists are a waist of time. I say that because I did try it out but once I started tracking properly it was clearly not worth the time and/or money. Wally, people need to wise up and realize there is no such thing as easy money on the internet. Unfortunately greed gets the best of people and these shysters know how to push their hot buttons. All the people who had made money on the internet did so over a few years, not overnight. Absolutely, internet business is still business. You need to learn & grow as you go along. If you are copying some else’s system you are not a real business owner. Thanks for the review on Trafficwave and you have provided detailed information. I always love the products review because it saves our time, energy, money & efforts. Thanks for the guidance. This review is going to help many people to make their decision on purchasing this product. Keep up the great work and wishing you great success. I will come back to your website to learn more information. All the very best! I’m glad you found it helpful Paul, let me know if you need more information on any topics.